Thanks, Neva. See comment above. It’s so funny and very gratifying to have such pleasing responses from heart-filled people. Thank you. What a wonderful picture. Just beautiful, with beautiful words. Hi Pattiken, and thanks. I was just showing my new neighbor how to use wordpress. I said to her, give me a line of poetry. She said, oh no, now you’ve put me on the spot and she had said moments before how grateful she was for things. So I typed her two lines and her gratitude, and the hummingbird who visits my house added the rest. Voila’ we have poetry! And that’s a lovely thing to do, isn’t it Cindy?!??? Be thankful… And have the loveliest time ever!!!! so good to take time for gratitude – and what a lovely pic. just read in the above comment that you’re in the middle of a book project – all the best for this and looking forward to seeing you back in february. Thanks Talon! Good time of year for smiling. I guess anytime is good for smiling. If you join wordpress.com, you’ll find the theme called “Elegant Grunge.” You can add your own header or use the one they offer and you can change the number and layout of columns. I use my own photos in my header and change theme with every new posting. Thanks for your comments! Great words matched with a lovely photo. It’s so important to take time to appreciate what we have – a message so beautifully expressed in your work. Thank you! I am so moved by hummingbirds. They fill me with awe, joy, and a little bit of fear. I wish I could experience them more often. Why the little bit of fear? I’m intrigued. 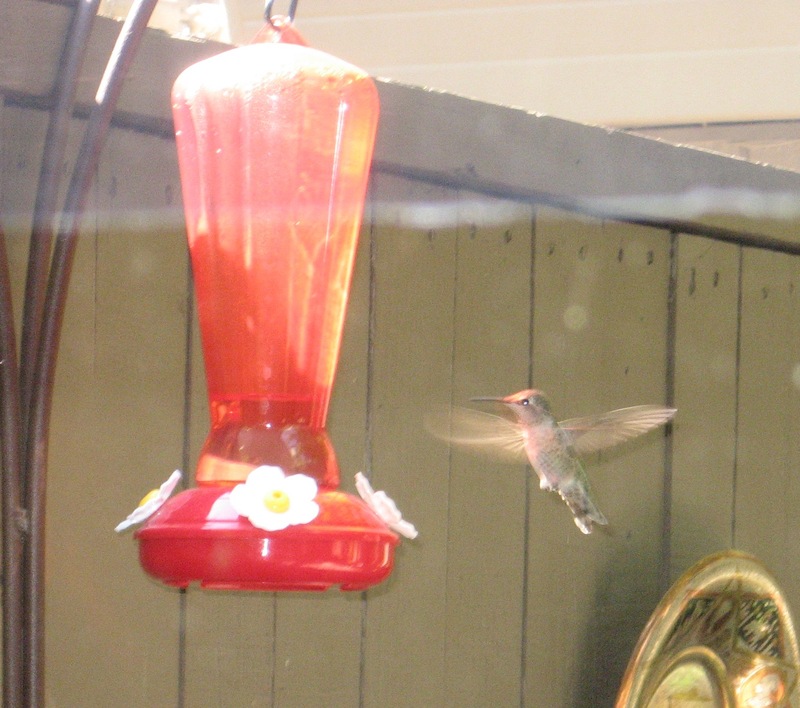 I think it’s because the hummingbird itself is so fearless. Sometimes I think they can see inside of me. Since nectar is the mainstay of the hummingbird, and its sweetness is rich with nutrients for their bodies, when they hover over you and look into your eyes, I bet they sense the sweetness of your words, which are nutrients for the soul. To be gazed upon by such a tiny powerhouse is surely an honor. Next time it happens, instead of fear, why not replace the fear emotion with respect, curiosity or even gratitude? Try each one once, and see how it feels. Listen to your body. You will then have many more responses to choose from, some comfortable, some inspiring, as well as the one with fear. If nothing else, it will leave you more endowed with a well of images and insight that can illustrate and deepen your writing. gratitude is an emotion that some times gives us hope,it makes us simple and honest.